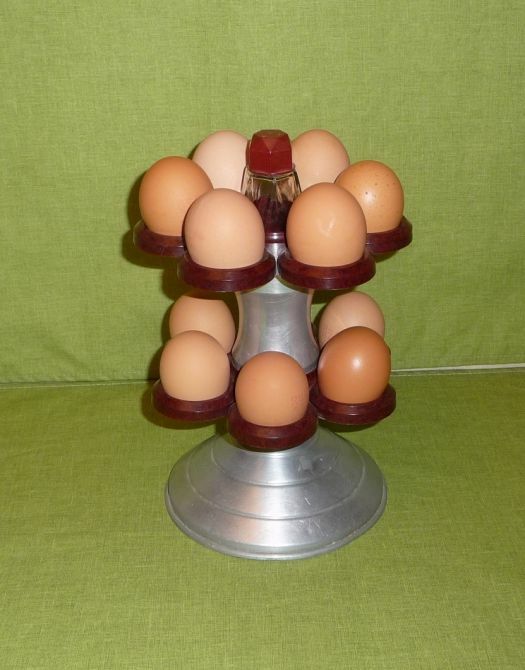 Great stand for eggs, which was used in French bistrots to display cooked eggs. 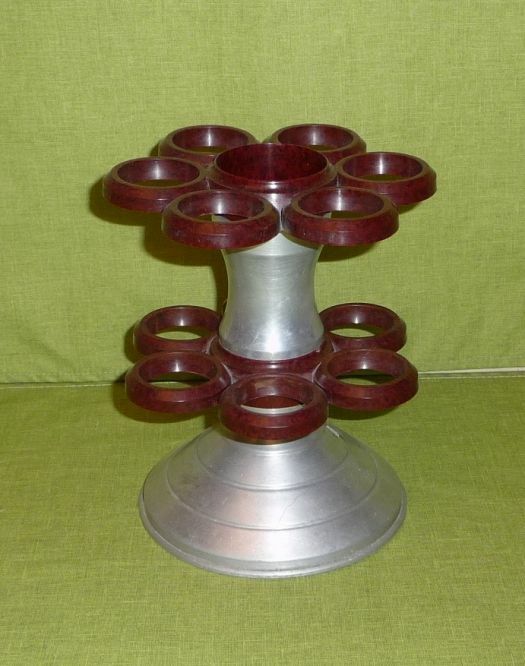 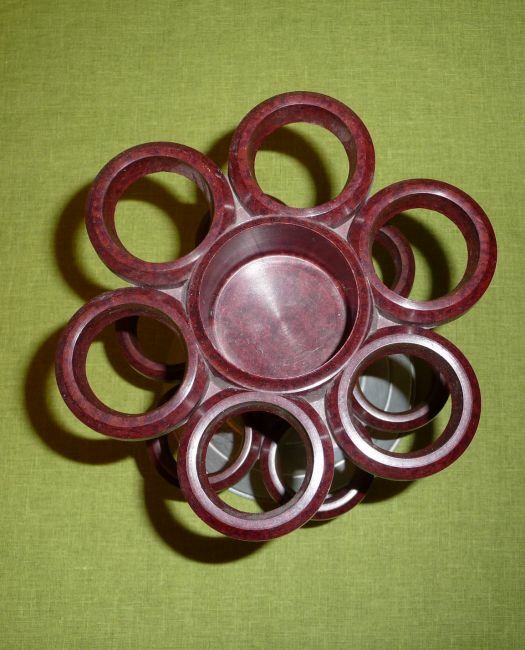 Foot in aluminium, egg rack in bakelite. 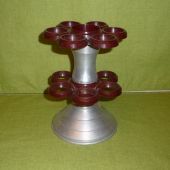 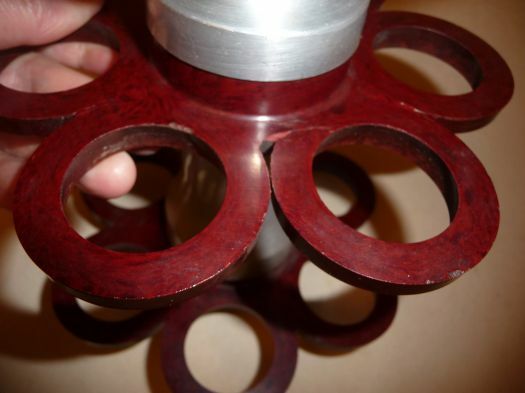 Good condition, aluminium is a little bumped, there is a small crack on bakelite, under (fourth picture).